Be the first to share your favorite memory, photo or story of Bernita. This memorial page is dedicated for family, friends and future generations to celebrate the life of their loved one. 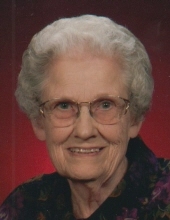 Bernita C. Biere, age 94 of Lowden, died at the Clarence Senior Living Center on Monday March 18, 2019. Funeral services will be held on Saturday March 23, at 1:30 P.M. at St. John’s United Church of Christ in Clarence with Reverend Matt Schneider-Adams officiating. There will be a private family burial before the service at St. John’s Cemetery. Brown Church in Nashua. He passed away on January 9, 2016. (Lauren); and sisters Delores Ruther and Joan Meyer. To plant a tree in memory of Bernita C. Biere, please visit our Tribute Store. "Email Address" would like to share the life celebration of Bernita C. Biere. Click on the "link" to go to share a favorite memory or leave a condolence message for the family.